What is orthostatic hypotension, and is it serious? A sudden drop in blood pressure when rising to a standing position, the condition merits a consultation with your health-care provider. What is orthostatic hypotension? It's a condition caused by a sudden drop in blood pressure when standing up, and often marked by dizziness. Orthostatic hypotension happens when blood pools in your legs upon standing. The result—within three minutes of rising from a resting position—can be a drop of more than 20mmHg in systolic blood pressure or 10 mmHg in diastolic pressure. 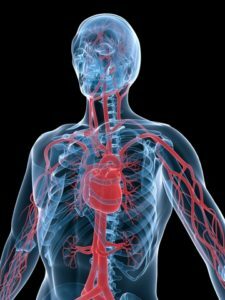 Normally, your heart pumps faster and your blood vessels constrict to offset this decrease. If these processes happen too slowly or not at all, the result is orthostatic hypotension. Symptoms typically involve feeling faint or dizzy. (See also our post Dizziness While Standing Up: What Causes It?) Low blood pressure after a meal, caused by blood collecting in the gastrointestinal tract, also can cause lightheadedness. 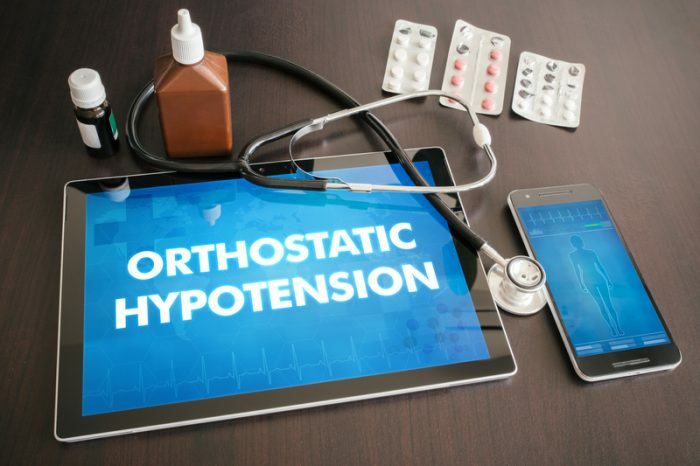 Orthostatic hypotension is most common in older adults, especially those with high blood pressure and those who take blood pressure medications. It also may be a result of cardiovascular disease, diabetes, nervous system problems, Parkinson’s disease, dehydration, fatigue, nutritional disorders, heat exposure, alcoholism, or simply advanced age. POTS: What Is It, Who Has It, and What Can You Do About It? Should I See a Doctor If I Experience Orthostatic Hypotension? Tell your doctor about any dizziness or lightheadedness you experience, as well as when these episodes occur. Your physician should rule out other causes of dizziness, such as an inner-ear disorder. When consulting with your doctor, bring a list of your medications and review it with him or her to make sure none of them is causing your symptoms. Is There a Link Between Orthostatic Hypertension and Dementia? Orthostatic hypotension is known to cause not only dizziness but head rushes and sometimes a more rapid heartbeat. However, it also may be tied to a greater risk for dementia, as reported in Mind Mood & Memory. The backing research comes from a large Dutch study published online in the journal PLoS Medicine (Oct. 11, 2016). Earlier research suggests that the reduction in blood flow to the brain that accompanies orthostatic hypotension can contribute to memory problems and declines in brain function in older individuals. After analyzing 24 years of data on more than 6,204 older participants in the long-term study, researchers found a 15 percent relative increase in the incidence of all types of dementia in participants who had experienced orthostatic hypotension. Although the cause of the association is not clear, the researchers suggested that the link between orthostatic hypotension and increased dementia risk may be related to the negative effects of oxygen deprivation on brain tissue. Proper control of blood pressure is recommended to help protect the brain from this and other potentially negative effects. blood pressure, blood pressure medications, brain, cardiovascular, cardiovascular disease, dehydration, dementia, diabetes, dizziness, dizzy, faint, gastrointestinal, high blood pressure, high blood pressure and, hypertension, hypotension, inner ear, low blood pressure, memory, memory problems, mind mood memory, mood, parkinson s disease, systolic blood pressure, types of dementia.